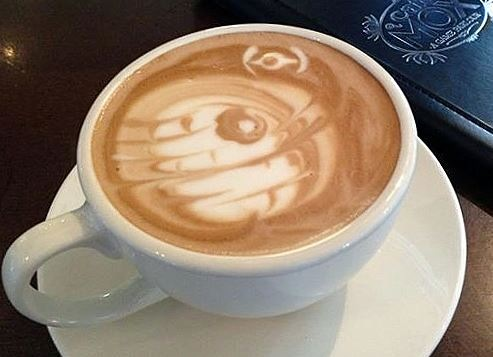 It has been a while since I have posted some nerdy latte art (search for latte art on the right to see all of the amazing latte art I have posted about in the past), so when I saw this Death Star latte art on the front page of the Star Wars subreddit, I thought I should post it on here. 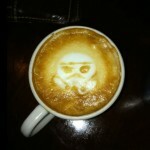 This awesome Star Wars latte art features a great looking Death Star and Tie Bomber. 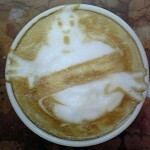 Sadly, I’m not sure who the barista is who made this to give them credit (let us know in the comments below if you know who they are), but they did a fantastic job! 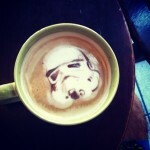 The froth is strong with this one! 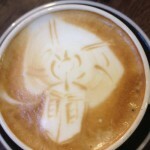 On a side note, I have always wondered if baristas charge extra to do stuff like this or are you just expected to tip more? I’m not a coffee person so I’m unfamiliar with the situation. Feel free to enlighten me in the comments below because I am truly curious! 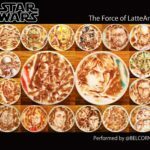 Share this with any Star Wars fans and latte lovers you know! Like us on Facebook too! Also, if you have a Kindle like I do and you want to help support us, subscribe to Global Geek News on the Kindle!